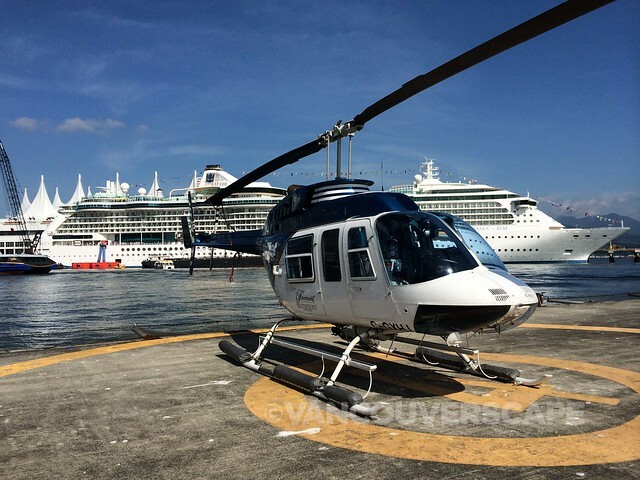 I’ve enjoyed travelling over to Victoria with Helijet in the past, but on this occasion, I was onboard their Greater Vancouver Scenic tour to take in Vancouver’s beautiful coastal areas on a 30-minute loop starting at Helijet’s downtown Waterfront station helipad. We lifted off on a sunny midweek morning and headed over the city and across the North Shore to Grouse Mountain, Mosquito Creek, following along the mountain divide to Crown Mountain, soon diving into Capilano Valley. These views never grow old on the ground, but experiencing them at 5,500 feet is just stunning! Imagine your jaw dropping as the pilot continues past Grouse Mountain and over to the Lions, then circles around their peaks, soon adding a stunning view of Howe Sound in the distance. Trust me, mine did. The video above (view a larger version on YouTube) captures highlights of our 30-minute tour, taking in Brunswick Mountain and Lake, Deeks Lakes, Howe Sound, Sea to Sky Highway (at which point we descend to 2,000 feet), and then along the coast, passing Bowen Island and Horseshoe Bay, before making our way back to the city via UBC and Jericho Beach, Stanley Park’s beaches, English Bay, Burrard and Granville Street bridges, and through the downtown core back to the base. 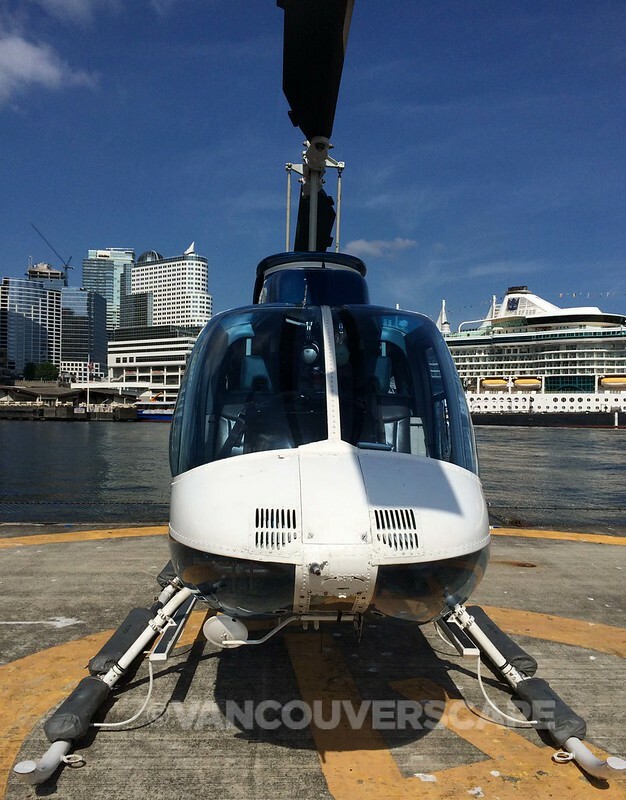 Our tour costs $299 per person plus tax; shorter adventures include a 10-minute False Creek Panorama tour ($149 per person) and 20-minute West Coast Spectacular tour ($224 per person). All three tours depart four times daily, will fly with a minimum of two passengers, and require advance reservation. Visit the website for more details, including Helijet’s regular service to Victoria from either Vancouver International Airport or Vancouver Harbour.